"Prevail II" is the proverbial yang to the yin and continues right where KOBRA AND THE LOTUS left off in 2017. The album will be released this Friday via Napalm Records and is available for pre-order HERE! The band is pleased to unveil their video for a cover of the Fleetwood Mac classic "The Chain". Watch the video HERE! "We couldn't be more stoked to release the final closer to our "Prevail" album series!! We've chosen a classic, recorded in 1976, and we hope to connect and carry the magic forward from that musical era.Here it is, "The Chain" by Fleetwood Mac, in full Kobra and the Lotus spirit. Can you recognize it?" says Kobra about the video and song. The band is currently on the road in support of "Prevail II", alongside Texas Hippie Coalition. The tour stops tonight in Atlanta, GA at The Masquerade and runs through June 3rd in Austin, TX. A complete list of dates can be found below. On April 27th (today) another mark in history will be checked off for the band; the release of the second part, "Prevail II". 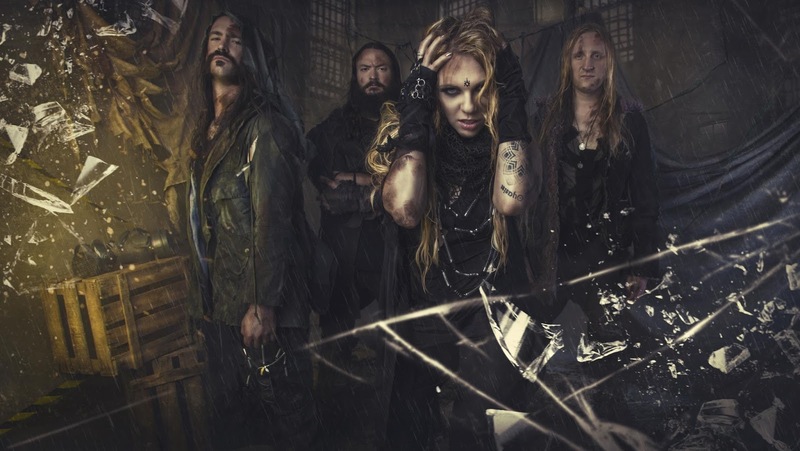 It comes as no surprise that "Prevail" is reminiscent of some of the material on High Priestess thanks to Kobra and Jasio's partnership, but in truth, this massive body of work attests to Kobra And The Lotus' massive growth as songwriters and musicians since 2015. On paper it sounds like lip service to say the band has become heavier, more dynamic and adventurous, but your ears don't lie.